To stay warm when temperatures drop outside, we heat our indoor spaces — even when no one is in them. But scientists have now developed a novel nanowire coating for clothes that can both generate heat and trap the heat from our bodies better than regular clothes. They report on their technology, which could help us reduce our reliance on conventional energy sources, in the ACS journalNano Letters. Yi Cui and colleagues note that nearly half of global energy consumption goes toward heating buildings and homes. But this comfort comes with a considerable environmental cost – it’s responsible for up to a third of the world’s total greenhouse gas emissions. Scientists and policymakers have tried to reduce the impact of indoor heating by improving insulation and construction materials to keep fuel-generated warmth inside. Cui’s team wanted to take a different approach and focus on people rather than spaces. The researchers developed lightweight, breathable mesh materials that are flexible enough to coat normal clothes. 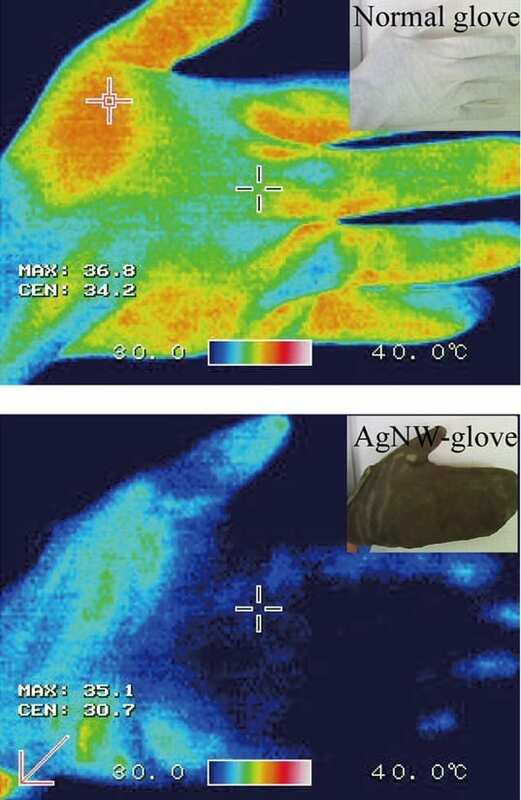 When compared to regular clothing material, the special nanowire cloth trapped body heat far more effectively. Because the coatings are made out of conductive materials, they can also be actively warmed with an electricity source to further crank up the heat. The researchers calculated that their thermal textiles could save about 1,000 kilowatt hours per person every year — that’s about how much electricity an average U.S. home consumes in one month. January 12, 2015 - 'Nanowire' clothing could cut your heating bills CNBCScientists coated fabric with a nearly invisible substance that can supercharge winter clothing and cut down on household heating.